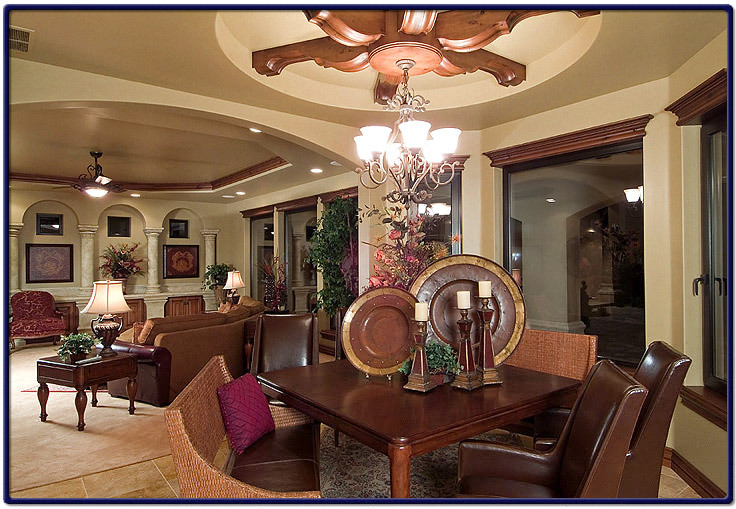 This picture is an interior of a large custom home, showing the dining room and living room. Pillars in the background adds elegance to this marvelous home and also enhances the rich design of the furniture. The lighting are interspersed throughout the rooms to add more richness to the furniture and to the interior of the house itself. The home was built by Corey Schoenauer of One World Builders near Sun Valley, Idaho.